Lori Smith is a paralegal in the firm’s Litigation group. 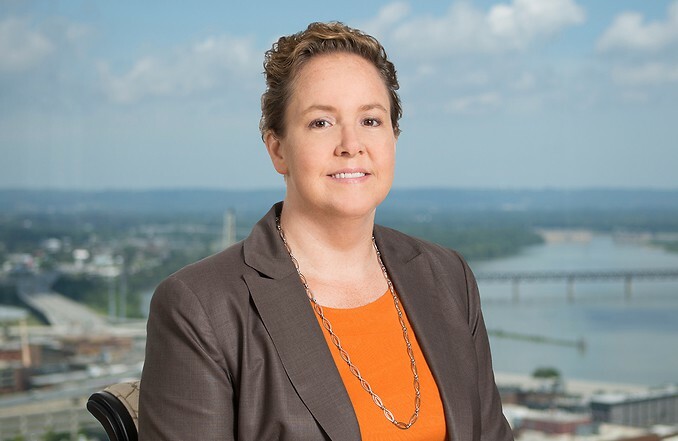 During her tenure with the firm, she has been involved with over a dozen trials and arbitrations in a variety of matters including, breach of contract, patent and trademark litigation, restrictive covenants, shareholder/partner disputes, and employment matters. She was previously a Vice President of Commercial Construction Lending with Integra Bank, as well as with PNC MultiFamily Capital and has over 20 years of banking experience. Member of trial team defending large law firm against $80 million dollar claim of former client for negligence in the handling of commercial litigation. Case was successfully resolved during trial. Member of trial team representing two members of a Limited Liability Company against the other member on claims involving ownership of a business opportunity and claims of fraud and breach of contract. The case was tried successfully to a jury and a verdict was awarded on behalf of our clients, with full compensatory damages, punitive damages of $175,000, and a declaratory judgment issued with a total value in excess of $1,000,000. Supported lead trial counsel representing a national biologics company in a patent infringement action involving plasma derivatives.